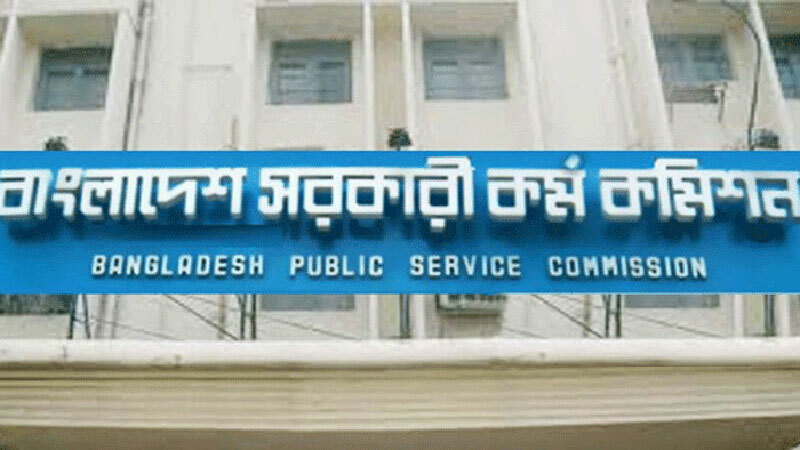 Bangladesh Public Service Commision on Tuesday announced the dates for examinations of 38th and 39th BCS (Bangladesh Civil Service) recruitment, reports The Daily Prothom Alo. The preliminary test of the 39th BCS will be held on 3 August and the written test of 38th BCS will start from 8 August this year. The announcement was made at a special meeting arranged by PSC. The written test for compulsory subjects of the 38th BCS will be held from 8 to 13 August and tests for optional subjects will be held on the first week of September. Besides, the final result of 37th BCS will be prepared and published soon, said PSC chairman Mohammad Sadik. He did not mention any date, though. Notably, the 39th BCS is the special BCS to recruit 4542 assistant surgeons and 250 assistant dental surgeons. Registration for the 39th BCS started on 10 April and closed on 30 April this year. A total of 39,954 candidates have applied to appear in the preliminary exam of the 39th BCS. Besides, a total of 346,532 have applied to appear in the preliminary exam of the 38th BCS exam through which some 2024 government cadres will be recruited. Among them 520 general cadres, 549 technical cadres and 955 education cadres will be recruited. A total of 16,286 candidates passed the preliminary test this time held on 29 December last year.